3. Shape of the yield curve. Marret shifts the type of exposure they have in the portfolio depending on what part of the economic cycle we are in. In the late cycle expansion phase, lower quality credit (high yield), preferred shares, emerging markets and asset backed securities. When the economy is strong, credit spreads tend to narrow and so there is better total returns in corporate bonds than safer government bonds. Once a recession hits and the central banks shift a tightening bias towards an easing bias, Long-term high-quality government bonds offer the best returns. 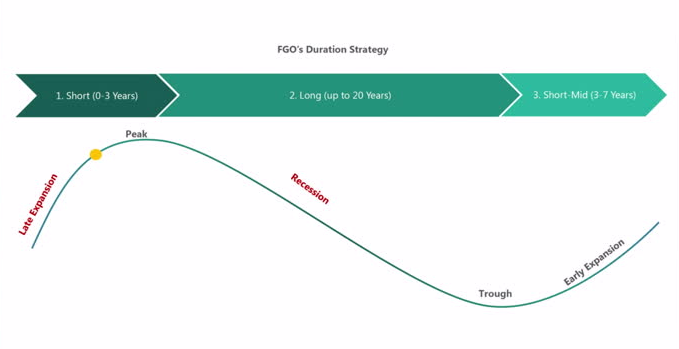 Early in the recovery, as the Fed is cutting rates, focus turns to the shape of the yield curve and the belly (three-to-seven year) part of the yield curve tends to perform best adjusted for risk compared to the same duration as a barbelled (2 & longs) position due to the rapid steepening. The universe of Canadian Bonds is made up of about 35 per cent federal government debt and about 35 per cent provincial and mortgage backed debt (CMHC). Corporate is about 29 per cent and municipal is a little over one per cent. 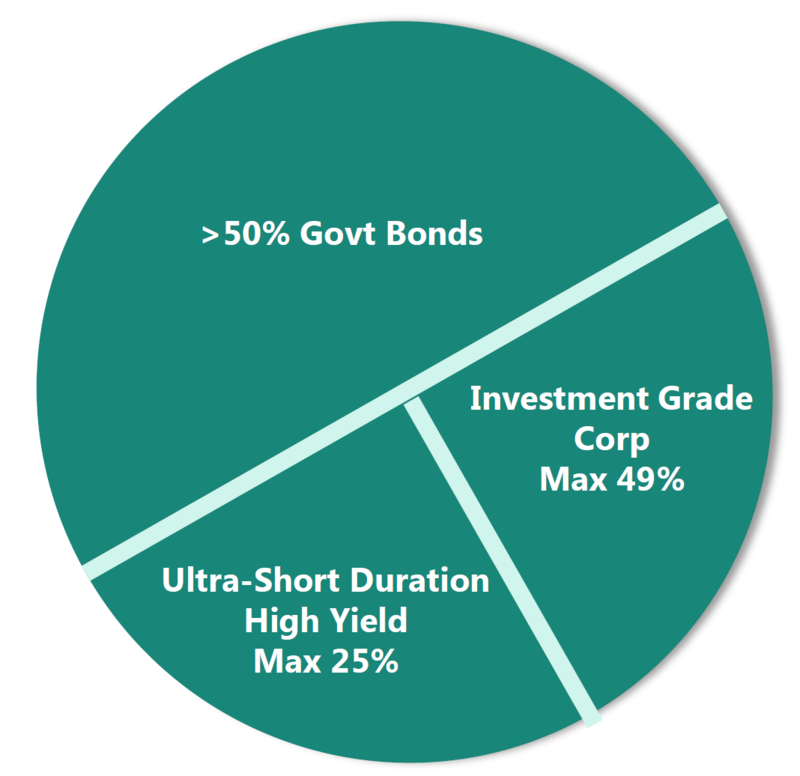 A big focus of the FGO active strategy is credit exposure, but they will also shift interest rate risk by moving from having all floating rate short-term debt to very long-term government bonds with a eye to what part of the yield curve also provides the best bang for the buck in terms of risk adjusted returns. With yields having declined so much over the past 35 years, the Yield to maturity of the world index (about $50T) is a little over two per cent. After tax and inflation, the entire world of debt has a negative real return meaning you are worse off every year having fixed income in your portfolio. This might be the biggest issue retirees will face in the coming decades. Traditional (passive) fixed-income investing will disappoint investors. 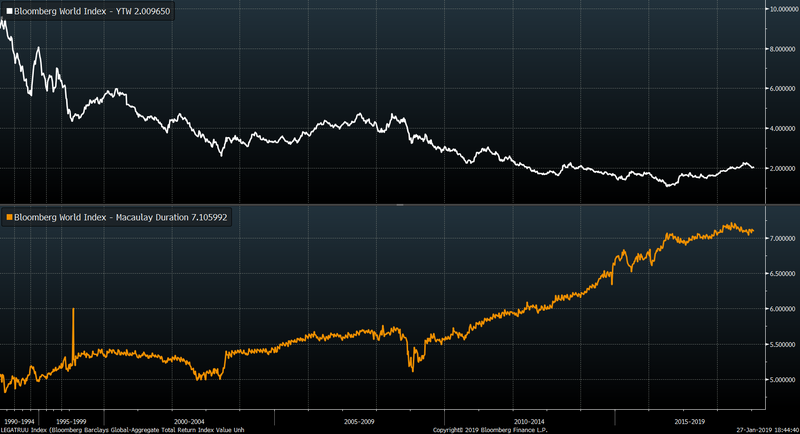 The risk of the bond market as measured by duration (sensitivity to changes in interest rates) rises as yields fall. A duration of seven means a one per cent change in interest rates will see a seven per cent change in price. We now have close to the lowest yields and the highest risk investing in passive bond portfolios. Viewers need to understand how appropriate fixed income is for their portfolios in terms of preserving capital. Especially as we head into a recession phase in the coming years. FGO might be an ETF to look at including in your portfolio’s fixed income exposure. The management fee (55bps) is high compared to passive ETFs (~10bps), but the value delivered should more than makes up for it. The previous Investor’s Guide to Thriving tour wrapped up on December 1, 2018. Aptly named “How Long Can a Bull Market Run?” we may have received our answer. The market printed the worst December since the Great Depression – bringing most of the major indices officially into bear market (-20 per cent+) territory. Markets have rebounded in January as they always do after steep declines, but we are likely in the early phases of a bear market where average corrections are closer to 30 per cent and extreme corrections are more than 50 per cent. If this is case, we haven’t seen the last of market volatility and a downward pattern of lower highs and lower lows. Many people are surprised at this phase because it can take some time for the fallout to move from Wall Street to Main Street – showing up as a recession. Job markets are relative robust still and Central Banks are still talking about raising rates. Markets are forward looking and generally anticipate economic downturns, so even as rates continue to rise, employment appears to be strong, and many companies are still posting record earnings – you should be paying attention to the growing cracks in the system. Larry will take the audience on a more detailed tour of past bear markets to see what we can learn about how this next one might compare. Will it be a gentle panda or a deadly grizzly? Can we hope for a soft landing due to aggressive government policy? How would we recognize a market bottom – when the next major bull market might begin? Why not go to cash or put all your money into a GIC right now? There are many questions to ask – and while (spoiler alert) we don’t have a crystal ball to give you the definitive answers, Larry can show you how to navigate a bear market so that you will use it as an opportunity rather than something to fear. 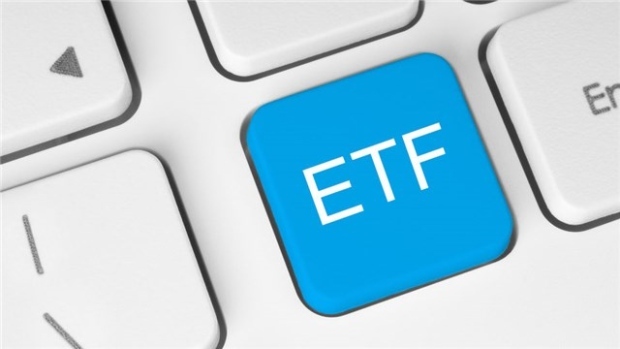 Using some of his favourite indicators and techniques, you will learn how to use a tactical approach to trading, and strategic asset allocation (including the use of gold, real assets, and other non-equity vehicles), to help keep your portfolio within your emotional comfort zone – while avoiding costly emotional mistakes. Success in difficult markets is both a science and an art, so Larry will also discuss the psychological aspect of managing portfolios under stressful conditions.